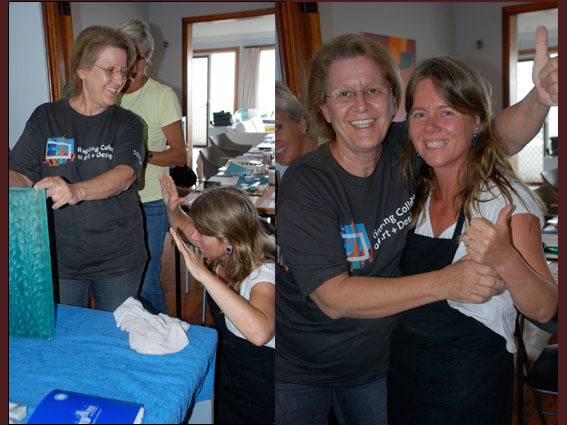 This blog is charting the progress of a mid-career mentorship between Glass Artist Cindy Poole and Shar Feil-Moorman, of Sculptured Glass Australia. This project is an Australian Federal Government funded project through the Regional Arts Fund, which is administered in Western Australia by Country Arts WA. The City of Kalgoorlie Boulder Art Prize 2011 runs from 9 September - 2 October. 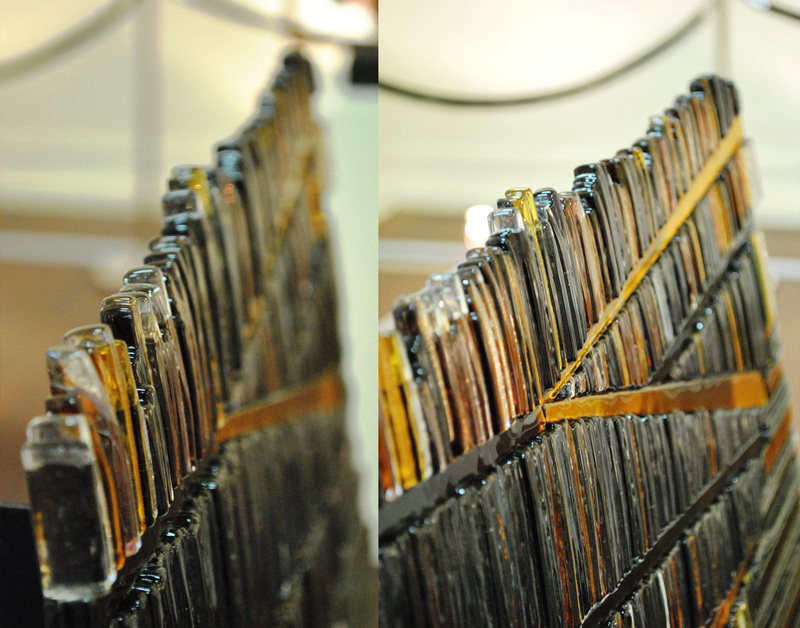 Cindy Poole entered two pieces, "Headframe" and "The Face" - Superpit. "The Face" piece was an extension of the Vertical Fusing techniques where the mentee was able to work independently on the complete process. Dialogue between mentee and mentor occurred throughout the design & production process, however mentee was able to apply the techniques independently in her own studio. 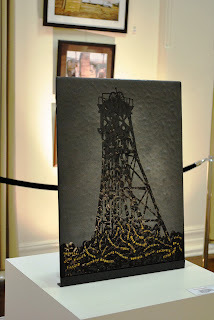 The production of the "Headframe" piece involved incorporating digital technology to create a vinyl resist for sandblasting. 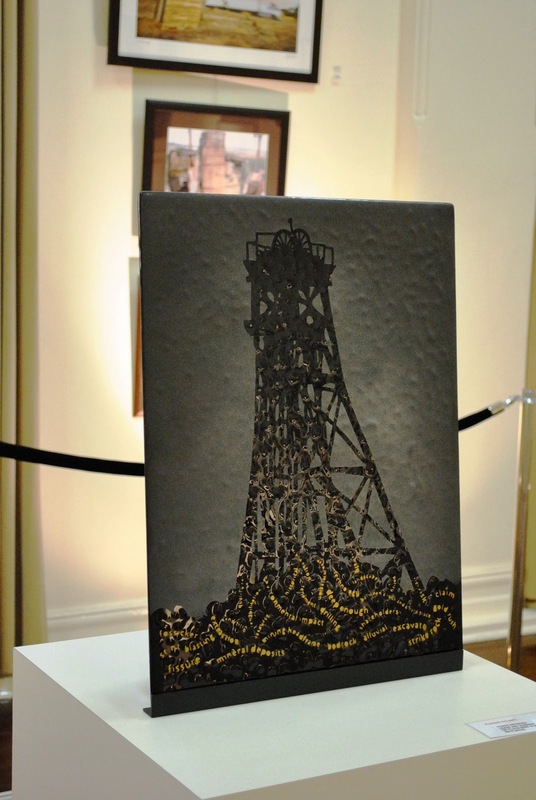 "Headframe" and "The Face" on show at the Kalgoorlie Town Hall exhibition. 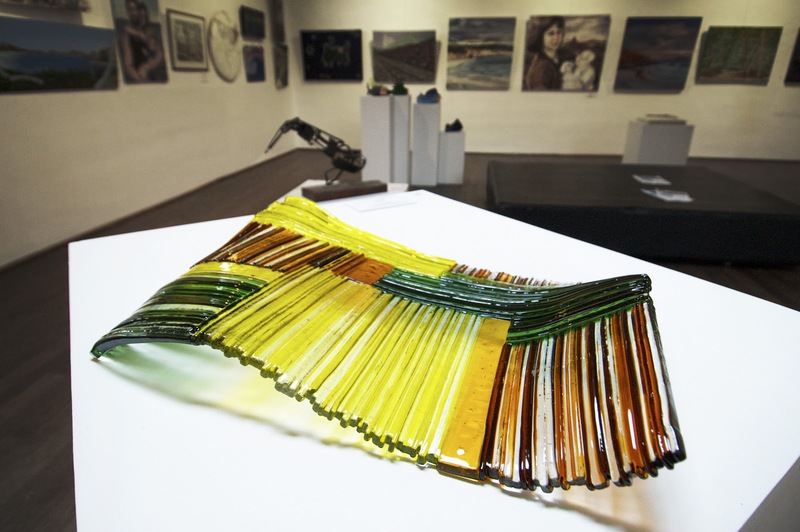 The 2011 Esperance Biennial Art Awards ran from 18 August – 11 September. Cindy Poole entered two pieces, "Paddocks" and "Windfarm", her entry "Paddocks" won the Rural Award. Winner of the 2011 Esperance Biennial Art Awards - Rural Award. Photograph courtesy of Dan Paris. Entry in Esperance Biennial Art Awards. This piece incorporated techniques of sandblasting, felt moulding, hole drilling and multiple layer exposing. 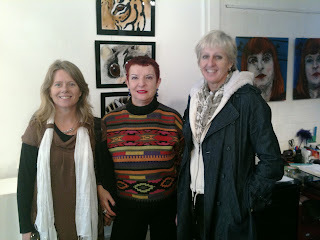 Appointment with Maureen Cahill - life member of Ausglass and owner of Glass Artist's Gallery, Sydney. At Shar's studio with friend and world renowned glass artist Richard Clements, and wife Wendy. Cindy and Shar during visit to Mentor's studio in Buderim. 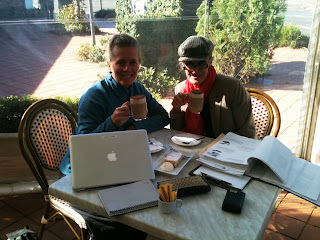 Cindy and Shar during visit to Buderim. 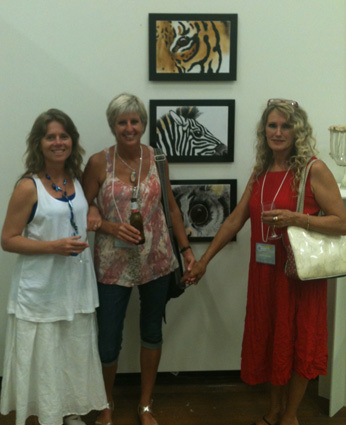 Cindy Poole, Lee Howes and Shar Feil Moorman pictured in front of Lee's work which won the Vicki Torr Memorial Prize. Having developed a professional career as a glass artist without any formal training, this mentorship represents a fantastic opportunity for me to develop new skills and advance my artistic practice. Already so far I have been exposed to new and innovative techniques by attending the National AusGlass conference in January in Sydney. I was also fortunate to participate in two workshops, one with Emma Varga and the other Daniel Clayman who are both masters in their relevant disciplines. I have also increased my network by meeting other practicing studio artists, attending workshop demonstrations, lectures and studio visits. Shar and I have had the opportunity to share some of these experiences together and discuss the various techniques that i can apply to my own practice. The mentorship project is called Strength and Fragility because I will be exploring women's health and wellbeing focusing on the responses of women to their personal experiences associated with Breast Cancer. 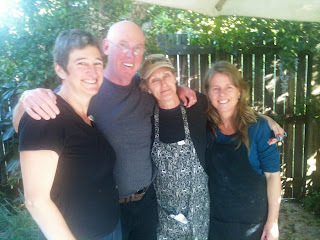 It is my intention to develop various new techniques through tuition from Shar and since my return from the AusGlass conference I have been engaged in community consultation as well as explorative processes in my studio. 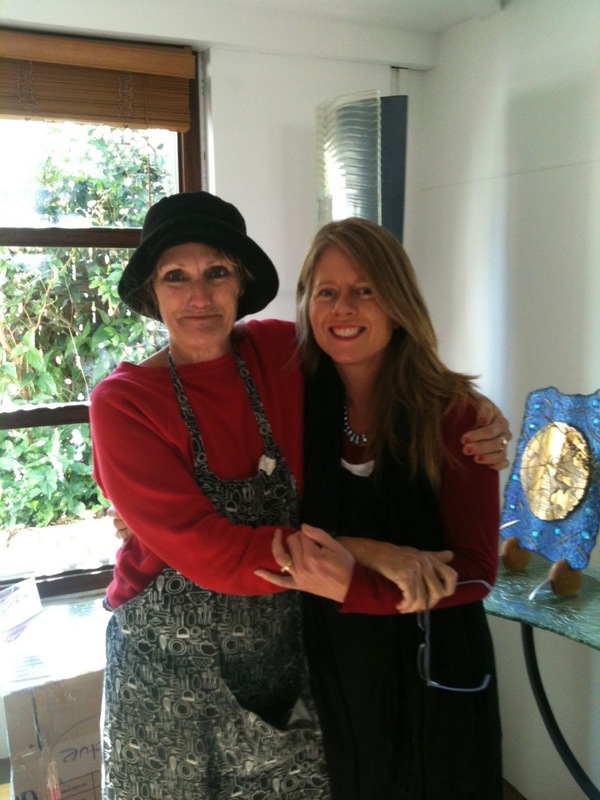 Something about this, Ainnee and Morgwn at Brett Whitely's Surrey Hills studio, November 2014. Thanks you 2.